From Peter Zhdanov's Yearbook of Chess Wisdom. In chess, one shouldn't be too dogmatic. I had a weakness of relying too much on theoretical assessments. For example, if I realized that my position should be winning, I used to lose interest in the game and hope that it will end soon by itself. Similarly, I didn't put up the best resistance in the positions which I adjudicated as lost for myself. WGM Natalia Pogonina provided me with useful advice in this regard. According to her, you shouldn't dwell too much on the mathematical assessment of the position. Instead, it makes more sense to try to improve the life of your pieces one-by-one. If you are ahead, it will usually lead to victory. If you are behind, it might give you some counter-chances if the opponent's play is not precise enough. This next commentary game is from round 7 of the 2016 Olympiad in Baku, which saw the United States defeat India 3.5-0.5. GM Sam Shankland contributed to that by winning the White side of a Slav Defense against S.P. Sethuraman; original ChessBase news and analysis can be found here. As a Slav player, I found the game interesting; I feel it's important to study losses in your openings, not just wins, which can be common to focus on. The below game highlights a number of useful chess themes, but it's also a lesson in the value of persistent defense when under pressure, as well as how having the advantage can slip away into a loss. Shankland was thrown on the defensive after grabbing a pawn and then running out of threats. However, Black - under time pressure, apparently - missed several follow-up moves that would have more directly converted his advantage, for example around moves 29-30. Although technically lost (according to the engine), Shankland kept playing effective defensive moves that helped take away Black threats, until the tide turned around move 34. By the time move 40 was reached, it was White who had the initiative and winning threats, although the win was not assured. The long queen and minor piece endgame is also instructive to see, both for the principles involved and for the interesting tactic 65...Bg5 which looks like it could have held for Black. As a final introductory comment, when looking at these types of master games, it's always useful to remember the pitfalls of computer analysis and see why the top engine moves aren't made on the board, which helps improving players both better understand the game and demonstrate how practical choices often need to be made at the board, rather than always striving for an "optimal" move selection. The following commentary game (Lagno - Goryachkina, from May's Russian Women's Team Championship) is the first of the last series on this blog of such games in 2016. It features what can be a very annoying White choice against the Caro-Kann (by transposition). Original ChessBase report and commentary can be found here. The trickiness of the variation and Black's need to carefully consider how to neutralize White's early pressure. Goryachkina's innovative choices in the opening (7...g6 and 8...Qd6) required careful calculation up front but paid off in the end. 8...Nb6 also looks like a fine choice for Black, with full compensation for the pawn sacrifice. Black's potential piece activity was evident as of move 11 and by move 20 she was completely dominating her opponent positionally. All of White's pieces had retreated from Black territory, while Black's knights had established outposts on the other side of the board. This high level of fluidity in the position was possible due to the lack of central control by White and her underdevelopment, particularly evident regarding the d-pawn and the blocked-in dark-square bishop. Black's ability to accurately and fully calculate for the entire game was impressive, including in the above-mentioned sequence after 8...Qd6, but also at turning points such as move 21. Seeing moves such as 21...Nf4 and their consequences ahead of time is what master-level chess is about. Finding winning moves rather than necessarily "best" moves. Black's move 23 is a case in point, where the engine evaluation is much stronger after 23...e4, but Black goes with a more humanly understandable path (23...Nc5), playing ...e4 anyway two moves later. An improved version of the Fajarowicz Gambit? Having somewhat regretfully put away the Fajarowicz as a possible weapon in my opening repertoire, I was surprised and a little fascinated by the following game from Hellsten's book. It is classified as ECO E37 - Nimzo-Indian Classical, Noa Variation. The key gambit characteristics for Black arise from his 6th and 7th move choices. With the first, the "Fajarowicz" knight appears on e4 and with the second, Black looks to undermine the White center for quick development. If you look at the position on move 8, it seems like a classic Fajarowicz structure, with the benefit of White not having any minor pieces developed (just the Queen on c2, which has already been kicked once from c3). By move 14, the thematic ...Bf5 tactical motif in the Fajarowicz has appeared, with the idea that Black's minor pieces are playing in the center, targeting key squares in White's camp and White's queen. Could it be that this Nimzo-Indian variation is actually an improved version of the Fajarowicz? Something to think about for both Fajarowicz fans and players who want a rock-solid opening that still has gambit possibilities. Studying everything - nothing you do is wasted time, if you approach the material with a critical eye and look to better understand chess principles and patterns. I doubt I'll ever actually play the Fajarowicz, but having studied the opening I can now recognize key themes about development advantages resulting from gambits, along with particular tactical ideas for Black in related structures. The overall level of play is greater, but there are still key turning points in each game that can be identified for "lessons learned", including tactical oversights and game-changing strategic decisions (good or bad). These turning points are usually more worthy of individual study than those in amateur games, since at the Class level evaluations can often fluctuate throughout the game. Seeing how even top-level masters can overlook tactics (and analyzing why) offers a psychological boost for amateur players. Often we improving players despair of never achieving perfect play; there is no such thing, however, so it's best to aspire to play well, rather than to hope to never make a mistake - either by blundering, or not seeing positive opportunities on the board. Finding recent "model games" in your opening repertoire can provide great insight into both opening schemes and successful middlegame planning. One of my consistent weaknesses has been the middlegame transition; often I know I have a good position out of the opening, but finding a concrete plan to further improve it is difficult, in the absence of any obvious weaknesses in my opponent's camp. I have established a separate "Model Games" database for these types of games and can also review the database of annotated master games ("commentary games") from this blog (download link in the sidebar). I've been rather selective regarding the master games I choose, partly because there's no point in accumulating a large backlog of games which I'll never actually get around to analyzing. Other important aspects involved in selecting games are the relevance of the game and how understandable it is; often these elements are closely related. Relevance: I don't limit myself to analyzing master games that fall exactly within my opening repertoire, but I do want the games to provide concrete insights related to my knowledge base and play that needs improving. Usually that means having structures and positional themes that I understand reasonably well. Sometimes it may be a particular tactic or strategic theme that catches my interest when looking at the game for the first time. In practice, I find that I can get a lot of mileage out of games up to around the 2500-2600 level that fall within my general opening knowledge. This means, for example, I really enjoy looking at the U.S. Chess Championship each year (both open and women's sections). On the flip side, it's rare that I would select a current World Championship game or the like at the 2700+ level, since that's too bleeding edge for me. Looking at the current Carlsen-Karjakin match, though, I'm comforted by the fact that many commentators and sometimes the players themselves are also having a hard time understanding the games. This final-round tournament game shows the danger of playing the opening phase on "automatic", in other words following a standard development scheme regardless of what your opponent does. In this case, it was my opponent that committed this sin, choosing an interesting modern Dutch Defense hybrid setup in response to my English Opening; however, he failed to see a key positional difference (White pawn on d3 instead of d4) and early on made a strategic error with the placement of his dark-square bishop, allowing me to establish a fantastic and ultimately decisive bishop on the long diagonal. The other thematic error made was 13...e5; it is normally an excellent idea to make this advance of the e-pawn in the Dutch, but only when you can properly support it. Here a tactical refutation left me a pawn up and with a lasting initiative on the kingside. This game displays a significantly higher level of play from me than in the previous one; no major mistakes occurred on my part and as noted below, I was careful to check tactics and be patient in assembling my final kingside attack, not allowing my opponent an opening for counterplay. Of course this is easier to do when you have a solid positional and small material advantage coming out of the opening phase, but my overall mental effort was certainly at a better level this time around. In this fourth-round tournament game, we see several transformations of the position and several missed opportunities for both myself and my opponent. The flank opening my opponent employs eventually turns into a Dutch Stonewall type position, with a classic kingside vs. queenside strategy. However, neither of us properly pushes forward the correct strategy, failing to find key moves. For Black, the notable idea of undermining White's central pawns with ...e5 appears a number of times, but I was oblivious to it. (One of the obvious benefits of analyzing your own games is to spot and remember ideas like this for the future.) Another key lesson was to reinforce the importance of CCT, as I missed a winning deflection tactic on move 35. By that point my brain was tired of calculating, but all it took was examining the available checks (not very many). In the end, I was lucky to get the draw, as my opponent's brain must have similarly been scarred by the battle that had just occurred. I was happy to get a draw in this third-round tournament game, after mishandling a rather tricky queenside situation in the English. Black here does well to get a supported queenside pawn advance first (12...b5) and then takes advantage of my failure to immediately exchange, gaining an advantage in space and piece coordination. Again my analysis reveals the importance of focusing on sequencing issues in calcuation (my move 14 should have been played on move 13) and there is also a similar overall theme between this game and Annotated Game #161; somewhat less desperately this time, I again rely on kingside counterplay and threats to gain a positive outcome, in this case a draw in a difficult position. My opponent's time situation was the largest determining factor, as playing out the complicated double rook and pawns endgame seemed to hold little attraction for either of us. 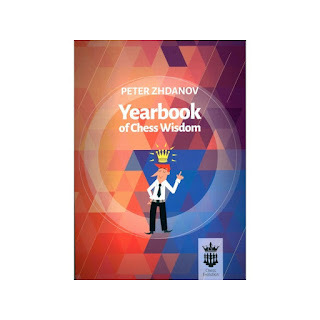 From Peter Zhdanov's Yearbook of Chess Wisdom; see also Playing Styles Deconstructed. When I asked GM Arkadij Naiditsch whether it would be better for me to try to develop my style by studying the games of attacking players or to eliminate my shortcomings by resorting to the masters of strategic play, he replied: "You are too weak to have a style. Study everything!" Carlsen’s favourite object is the hammock in the centre of the terrace. “I come here and sit when I want to think how to beat opponents.” It also serves as a place for post-match reflection. “Even if I win a game, if I have made an avoidable mistake, or missed something in my calculations, I get very angry and sulk.” When that happens, he stretches out on the hammock and uses the mistake to motivate himself to be flawless next time. The best cure for over-optimism is being punished for it and understanding why. So I hope this next game, from the second round of the tournament, is a milestone in that regard. In a main line Classical Caro-Kann, I achieve full equality out of the opening, with a dynamic position featuring elements of kingside vs. center vs. queenside play. Although the requirements of the position are fairly obvious - including challenging my opponent on the d-file - I focus instead on the queenside action (where my opponent's king is castled) to offset his kingside play. This isn't necessarily a bad strategy, but the very over-optimistic sacrifice on move 24 sinks my game. Admittedly my opponent has to find an "only move" on the defense afterwards, but it's not terribly hard to find. After that, the game is pretty much over. This game in combination with the analysis of the previous round (Annotated Game #161) should be a good marker in terms of teaching me to better evaluate positions objectively, as well as spend the extra energy necessary for calculating critical sequences. In my next tournament, I played basically to expectations for my rating, so not a lot of progress. This first-round game is nonetheless an interesting one, both for what happened on the board and in evaluating my perception of it. Part of the practice of analyzing my own games is to notate them in my personal games database with my thoughts and some light analysis shortly after the game ends, to capture my perceptions at the time. Once serious analysis is eventually done on the game, it's instructive to see how a more thorough, objective view matches up with how I was feeling about the game at the time. This type of lesson offers useful conceptual feedback for how I evaluate future positions while at the board. In this case, after an up-and-down opening (first up, then down), I blunder the exchange - although if you win in the end, you can call it an "unintentional exchange sacrifice". After the "sacrifice" I do fight well for compensation, while in contrast my opponent plays passively and focuses on attempting to trade down material, without much else in terms of a plan. I spot a possible tactic after my opponent weakens his kingside with 27...g6?! and eventually get the chance to execute it, leading to a breakthrough and a win. (By coincidence - or perhaps not - this matches up nicely with ideas in the recent "importance of sequencing" post). While reviewing my initial notes in the database, I was struck by how the final result colored my outlook on the entire game. My opening play was initially fine but then got significantly weaker as I approached the middlegame, which is a recurring pattern that I've identified (so will now fix, as in Third Time's the Charm). Specifically, one of my main recurring errors has been neglecting development and allowing my opponent to restrict my pieces, which always brings problems with it. I should have been harsher (or more realistic) during my earlier evaluation and recognized that the narrative of triumph after the "unintentional sacrifice" was due less to my abilities - although I did find some correct ideas - rather than my opponent's passivity and creation of unnecessary weaknesses. Part of improvement comes in being able to better identify key tactical themes (pins, hanging pieces, sacrificial attacks, mating patterns, etc.) and the moves necessary to exploit them. This is a huge subject in itself - which I've addressed before - and I would say constitutes the bulk (let's say for argument's sake 3/4) of success in the tactical realm. However, I would include in that last 1/4 - which is often crucial in actual play - the idea of sequencing and precise move-order calculation. This is where tactical ideas intersect with your visualization and calculation skills, which become more important the longer a sequence runs. After the (blunder) by Black of 13...c6, breaking down the tactical elements of the position is not hard. Black's last move forces you to think about where the Nd5 can (must) move and with Black's bare kingside, the f6 square immediately suggests itself. The knight then double attacks h7, threatening mate with the queen. Black must therefore take the knight with the g-pawn or lose, in the process leaving the king more vulnerable. However, the White queen itself is still not sufficient to force the a win. What to do? Then one notices the light-squared bishop, which is in a place where it can move to hit h7. With the g-pawn gone and nothing else on Black's side able to intervene defensively, the mate is assured. So then why not simply play 14. Bd3 immediately (I thought), since it is just as forcing? After ...g6 in response and then 15. Nf6+, the knight appears to move with the same effect, gaining a tempo on the check and dooming the h7 pawn. But no, in fact the response 15...Qxf6! prevents the combination due to the fact that now both queens are en prise. So only the sequence with the knight moving first can work. This is just one conceptual example, but many sequencing choices will in fact occur during play. As I've gotten stronger tactically and have been seeing different useful move possibilities in positions, the sequencing part - which I would consider the more sophisticated side of tactics - has become increasingly important. It's certainly good to see those initial tactical ideas, but there remains more work to be done in executing them in my games, including seeing better opportunities in different sequences, for example as shown in Annotated Game #151. You can learn just about anything from books, and chess is included. But to really improve, you must play regularly, like any other sport. The concentration and mental discipline needed to improve chess performance can't come from study. Especially true below master level. Experienced tournament players have developed those "game muscles" well. Amateurs need to build them. Study won't help you if you can't focus. This last commentary game from the 2016 US Championship is the decisive round 11 encounter between GM Irina Krush and IM Nazi Paikidze in the Women's section. (Original ChessBase commentary can be found here.) Krush by this point in the tournament, with 6 points, was out of the running, while Paikidze had to win as Black in order to catch up to WGM Tatev Abrahamyan. As with many games, knowing the context is important to understanding the choices made by the players. Paikidze as Black could not afford to be passive, while Krush as White had no need to strive for a win. This dynamic I think helped shape the game from the start in terms of the opening choice (a King's Indian Attack). White with 17. f4 provokes a complex middlegame with a number of tactical ideas lurking in the variations - mostly to Black's benefit. Black in response sacrifices a pawn and has the initiative for almost the entire game, although Krush at one point had fought back to near-equality. Paikidze's play illustrates some important tactical and positional concepts for improving players and the factors involved are well worth studying.